Just seen a trailer for a film called '6 Days' due for release in August which is an account of the 1980 Iranian Embassy siege. 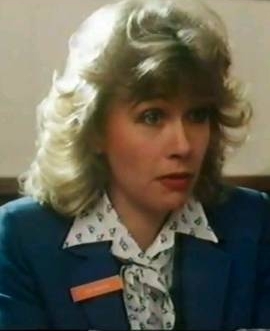 Martin Shaw appeared briefly as what seemed to be a Home Office official type role. Looking forward to this, right up my street. I just watched the trailer and it looks good and I hope it gets a US release. If you don't already know the story it seems to give too much away. Nice to see Martin Shaw. If you don't already know the story it seems to give too much away. I remember watching the SAS entering the building live on TV. It was a Sunday evening and the BBC had been covering events almost as if they knew things were coming to a head. It was around 2100 iirc that the order was given and i still remember quite vividly the explosions and the mysterious figures in black going in through the front windows. That must have been surprising to see unfold on live tv. Obviously the event is not as well know in America and I thought the trailer gave away too much. I hope it gets a theatrical release here but I can't find any information it. I've been waiting for this film to finally get a British release for ages (at one stage I feared it was going straight to dvd). Ironic that Martin Shaw is appearing in it because once upon a time this was Lewis' forté ! Do any of you remember a TV movie in 1988 called The Zero Option? That could have featured Lewis Collins as it was about an SAS Major who resigned after a raid went tragically wrong and he then joined a private security firm. It was the pilot for 'Saracen'. Thank you for the reminder. Searched for the trailer immediately. Nice to get a glimpse of Martin in this. I only knew that he plays someone named Dellow. Since I knew nothing about this incident at all I read a bit about it. According to wiki Dellow commanded the police operation. You wreck my bike, I'll burn your rubber duck. That's cool. Shades of his role there from The Chief. BTW just happened across these snippets of Lew. 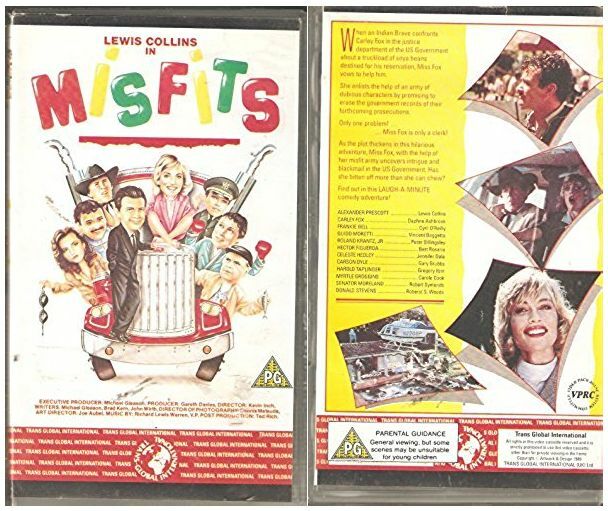 I have a VERY poor VHS copy of 'Carly's Web' aka 'Misfits' here in my collection - certainly not the world's greatest film and certainly doesn't warrant a decent review I would say - LC is in this for all of a few minutes at most. This film is an 80s turkey. For the cover to advertise Lewis Collins in.. is in my opinion a complete joke - at best he is an EXTRA! I think from the scenes I saw from that movie on youtube, Lew showed that he could have been a pretty decent James Bond. 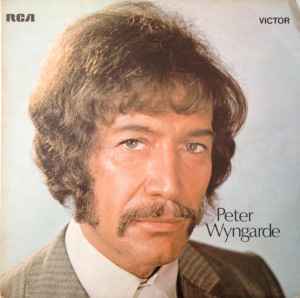 With the playfulness of Roger and Sean's hard man streak, he would have been a hit. Or maybe he could have even been The Saint instead of Simon Dutton, perhaps a slightly grittier version of Mr. Templar. I was 16 in 1980 and at boarding school. Not a 'posh' one I hasten to add. We had been watching this situation unfold and were glued to the little black and white portable telly in our room. There was a tangible sense of expectation, one might say. We were all so transfixed by it that our tea was postponed so we could stay and watch the box. If I remember rightly it was early evening that it happened, maybe four or five p.m. ? I write this all totally from memory and without checking to see if I'm right/wrong. I remember we were all totally blown away by it... but not in the same way as the terrorists were by the SAS! I walked past Princes Gate a few years ago when I was in London. Funnily enough, I didn't realise where I was until I was crossing the road and thought "That looks familar!" I shall be watching the new film when it comes out. I was only a mere 1 year old when those events took place but this is what influenced Euan Lloyd to produce WDW as he was there at the time. I would have loved to see the sequels that were planned also featuring Lewis including one about the Falklands. I would have loved to see the sequels that were planned also featuring Lewis including one about the Falklands. Wasn't aware there were sequels planned. That would have been very popular i'd have thought and been a very useful income for LC. Any idea why it never happened? If I remember correctly the planned sequels are mentioned in the Who Dares Wins thread. I've just seen a trailer for this with Martin Shaw in it. Incidentally, no word yet of when the final episode of George Gently will be shown. I bought a TV Guide yesterday and this is one of the things I came across. Re: final George Gently ... what's the story on this? Are the Beeb keeping us waiting for a reason? "Gently and the New Age" - The Met's new Special Investigations Squad boss Lister brings in Gently to investigate high levels of corruption within the force. Urm, so when do the rest of us get to see it? The original story they put out was that the final episode had been delayed due to it's political storyline and that they couldn't screen it near a general election - perhaps they've learned their lesson from when Harold Wilson asked them not to broadcast Steptoe and Son on Election night as Labour voters were more likely to stay in and watch it than go out and vote - nothing like a good bit of impartiality eh ?! Flicking through the channels yesterday I saw Gordon Jackson as a Viking in 'The Long Ships' (1964). Richard Widmark, Sidney Poitier, David Lodge, Edward Judd and Colin Blakely were in it. I wouldn't have had him down as a football fan, but maybe he was just paid for his time. Great find casper, thanks for posting and keep 'em coming! Now then, the girl assistant sitting in Barclays Bank is a boat I recognise, but just can't place her for now. It's actress Lesley Duff. 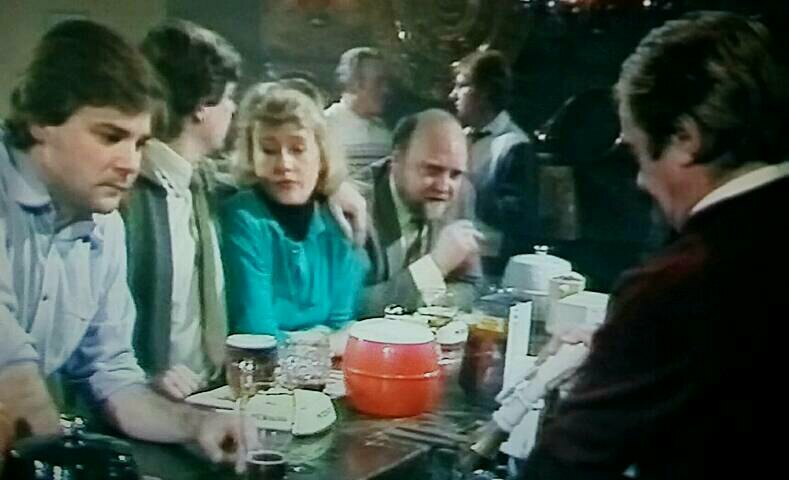 Here she is with Minder's Meic Povey and Peter Childs in 'Sul y Blodau' (see 'Not Minder') and she was also in Minder series 10 'A Fridge Too Far". Lewis and Martin both appeared in 'Robin Of Sherwood'. Recently saw the episode where Lewis Collins plays the replacement Sherrif - "a posturing catamite" in the words of his predecessor. He has a real air of camp menace but doesn't over do it (contrast with Richard O'Brien's appearances in later episodes where are dreadful). I think he was a far mor versatile actor than he gets credit for and it's a shame he got typecast. Rumour is Martin Shaw's appearance is a blink-and-you'll-miss-it cameo as a beggar in the same episode? Looking at IMDB Martin Shaw was in the following episode in an uncredited role as a beggar. Never spotted him at all. Good of him to do it I guess. Don't believe everything you read on IMDB , it has Jim Bowen and Tony Green down as appearing as themselves in the Michael Winner film 'Bullseye!'. That would have improved it no end!